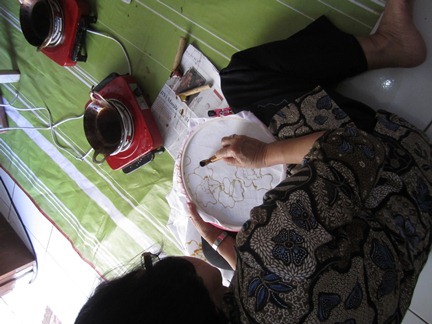 BATIK COURSE in PRIVATE – October 4, 2013 – Mbatik Yuuuk!!! I love to share about the History, the Philosophy behind each Batik Pattern, learn how to trace the pattern, and making Batik Pattern. Later you will feel how to concentrate yourself with your canting.